Four members of my family were having terrible cramps: my wife and 3 children. Lower back cramps, knee cramps, leg cramps, foot cramps almost sabotaged our family vacation. My family went on a very short vacation to Puerto Galera beaches in Mindoro island. The bad part about it was the crisis of pain and cramps began without me as I just followed later on in the late afternoon. My wife and 3 kids and a nanny were driven to Batangas port by van. At the port our 8 year old daughter suddenly complained of knee pain and leg pain then foot arch pain. Then our 11 year old boy too complained of leg pain. My wife was thinking of sending the children back. But they pressed on and rode the small boat from Batangas to Mindoro. On the boat, our 9 year old boy too started having leg pain as well. By the late afternoon my wife was also feeling tailbone pain, lower back pain. What an epidemic! The solution? My wife called me up by cell phone and the first thing that came to my mind was the case with our driver’s own 12 year old boy who used to suffer debilitating knee and leg cramps. They observed that giving him a latundan variety banana each day held the pain at bay and let him walk again. So my immediate suggestion was to buy latundan variety bananas for them to eat. And that first guess was correct. All this was a suspected potassium deficiency. But what caused a mass potassium deficiency? Was it the recent bout of coughs and colds they were having? Was it their diet causing an imbalance? Was it just lack of potassium in their diets? Was the water causing deficiencies? Was there a parasite infestation from my driver to my children that caused the potassium deficiency? Is it the weather? 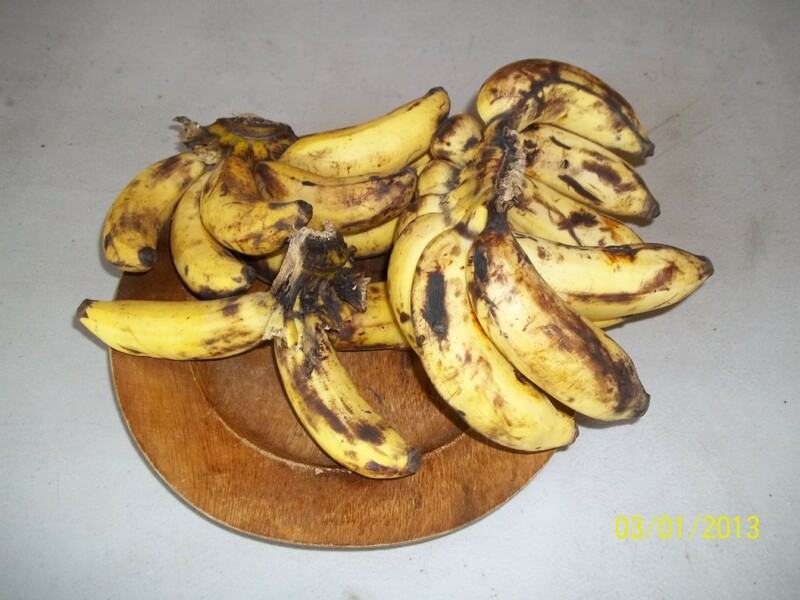 So latundan variety bananas work. Now we know. Yesterday morning my 8 year old girl again complained of knee pain. I immediately bought latundan bananas and told her and her brothers to eat as much as they wanted. This morning I again bought a lot of latundan bananas and told them to eat as much as they want and bring a lot of bananas in their lunch packs. I plan to load up the children with latundan bananas and have the bananas available every single day. Will get other varieties of bananas too. I read that bananas are herbs and not fruit? Also got me thinking about this 30 bananas a day guy who is into cycling. Maybe that much exercise leads to a high amount of potassium required. Avocados it seems have high amounts of potassium too. Molasses have high amounts of potassium. I will have to fix up their diet and their water and find out how to consistently get potassium and stem the losses of potassium. More research needs to be done. Curious why I did not get any of these cramps. Maybe it is because I’m on a different diet than theirs. I’m on a raw paleo diet. Update on that vacation. My wife was the last to heal overnight with her lower back pain, tailbone pain cramps. We went on the next day to have a nice day and enjoyed our vacation.